This review is about CMC Markets Australia. As is written in many reviews, these guys will almost never respond to emails. Their pricing seems a bit suspicious and the spreads are not great. There's been several times when I've found a fairly reasonable disconnect in certain instruments between CMC and real market prices. Then again, they are not a DMA provider. Their platform update as of July 2013 removed the ability to customise leverage. Customers are now forced to use maximum leverage. I've transferred my cash elsewhere due to bad service. I am a professional trader. I KNOW all the stuff about technical analysis, money management, position sizing, stop losses, etc. I make money when I trade via regular brokers. I opened a CMC account to hedge - eg when regular markets are closed; eg to go short easily without loaning stock. I have lost so much money on CMC over a few years that it isn't funny. These guys are scammers in so many ways I don't know where to begin. 1) Their prices don't reflect the real market. Even Dow Futures can be 1% off at times. Hello, 1% off Dow, more than 140 points. HUH? 2) They love to run your stops. Do you guys know what a long tail doji or dragonfly is? When Dow trades in a tiny range, CMC can give you a long tail doji where they happily trigger your stops over 100 points away from where the futures cash market traded. Don't waste time quarreling with them. As I've said, they are very polite - and condescending. 3) They have slippage like nobody's business, and it can happen even in an orderly market where the freaking stock DID NOT MOVE ALL DAY IN THE UNDERLYING MARKET! On CMC, the stock conveniently moved up in one of CMC's characteristic price spikes and triggered my stop and I was stopped out at a price 5% above the day high during some mysteriously illiquid point of day. I'm not talking about regular market volatility here - I don't get that kind of slippage on regular brokers who actually go into the cash market. 4) If there are mistakes (eg wrong feed; price not working, stock split not reflected, all kinds of weird stuff), you have to take forever to prove it to them. One time they made a mistake and admitted it. It took them 2 months to refund me money that they took from me up front. TWO MONTHS! 5) They constantly change the rules of the game. On average I got 1 new email every month informing me of a whole bunch of changes. New fees, new rules, new limits... the playing field is already tilted 90 degrees in their favour and they still want to plant cactuses where I am running. 6) Even though they are market makers, they make you pay for data feeds which cost them nothing to conjure out of thin air. I have just terminated my business relationship with them. There is no way you can make money from CMC unless YOU ARE AN IRRESPONSIBLE TRADER. EG I've actually had a friend, a normally conservative trader on his other accounts, who opened a $4000 account, leveraged it to the max during a momo period, rode the momentum stock up, pyramided with no stop losses and closed out for a $143,000 profit after 8 months. CMC is absolutely great for this sort of thing because your losses are limited to $4k. If you want to make money consistently and not have some scammers play your stop losses, AVOID THEM LIKE THE PLAGUE! CMC markets are bad news. They have forced all onto a new trading platform. The graphical package is weird. Saved charts default without warning. The system logs off by itself just when you want to bet. . There are no fractional bets on the spread bet side so some minimum exposures are Â£20K , other Â£200. Worse of all they have no arrangement for technical people to call to sort out problems. . just customer service who shrug their shoulder at techncial issues. CMC is currently introducing commissions, while still keeping incredible spreads. Royal Bank of Scotland: 21.170-21.228, while ordinary online-Bank offers 21.21-21.23 with the same commissions! Ripp-off at it's best. their new trading platform is a fancy toy for people, who love fancy colors and fany pop-ups. That Java-based peace of junk has few useful features, it is poorer in almost every aspect than the software-application, it has much less instruments, their charting has deteriated again. This toy is adressed to the average, dumb coach potatoe and makes him believe, he could earn a money through investing with CMC. I have traded with them for 3 years, and could mostly put up with their tricks as I am more of a longer term trader. I just lost massive amounts of my hard earned profit in their dubious dealing desk. I rang them up and they accepted over the phone that they jacked up the price of the index i was trading after it fell more than they could accept. I was short huge amount and couldnt get out, TP wasnt activated, and requotes after requoates although I accepted their requote as well. Overall its a scam. DONT USE THEM, you will regret it sooner or later. CMC is a fraud. Watch out for your account. When you buy short, they dont actually give you interest if you place it overnight. When they do, they deduct it immediately when you start trading. They can take money out of your account without your permission. Platform always breaks down, losing connection especially when they know you are winning. There's definitely something dodgy there. Obviously after many complaints, they deny the whole thing. * no quick resolution of obvious faults ("... in next version..."
The tradestation is really only for daytraders, not for keeping a position open overnight. Great platform with polite helpful staff. CMC is very much interested in the success of its clients. They offer indepth training and trading courses free of charge. What else can you ask for. I love their spreads and excellent, timely execution. You really need a good system though to enjoy the full benefit of the platform. i have used this broker daily for a number of years, frankly i should have changed a long time ago when then changed their chart package, The new package is slow, hogs the pc, ( i use 4 monitors) and the delay on prices is unbelievable at times., the charts are slow and clumsy is too kind a word.they always have an excuse, the requoting is unbearable at times then you select and they respond too slow. finally im looking around, and the reviews i read are not that flattering for others and some seem so fake. Hunting stops is a game they like to play but the worst thing is the inaccuracy of the charts, the moving averages and the weekly even updates on a Thursday morning, go figure that one out, they are basic and poor basic at that, only good for a beginner to loose money.i could write all day of my experiences but enough is enough i need to change. a rating of 3 is too kind at times. They always make awful recotations, mistakes for trades converted in dollars if you trade with others moneys, charts are even NOT in real time!!!!!! Do not trade with this broker. They are tricky and the platform is full of pitfalls. Pretty good execution, they are a very big company so their execution is quite good, however their customer service is not very good. I have been with this broker for four years. they always have issue with the software platform and connection. This morning the platform was down and I was scalping, I called the customer service and they let me waited for about 42mins before I could close my position, resulting total lost of 65pips. never ever use this broker.. their software is really bad, so is customer service. As a newbie, I din't realise what I was getting myself into. Bad spreads, orders requoted all the time, terrible, clunky platform that east memory. Realise that you are not playing the real market with these guys - they are market makers. If you lose, they make money. They stop loss hunt you - even if you start getting sdome good results, they will get it back off you through spiking prices through stop loss levels. Be warned and stay away - there are far better spreads, far better platforms, far better customer service out there. CMC market customer service is a joke. On trying toi withdraw money, it took ages - I contacted customer service and they said it was to do with market conditions. Absolutley a joke. They WILL take your money, especially newbies. I've traded stocks, indexes and recently forex with CMC markets. I've found their customer service is good if phone trading and their trading platform, MarketMaker, is stable. I've found order execution to be excellent. Their forex quotes are fair and pending orders are executed with no slippage. I have a lot experience with CMC, they are the largest company of their kind here in Australia, although McDonald's has more restaurants than any other but it doesn't mean that it good to eat the stuff. CMC's clients are all complete newbies who don't realise what it takes to be successful in trading and therefore don't really realise what CMC are all about until it's too late, CMC only cares about it's own profit growth, this is the reason why they lose their clients and lose their staff members. Platform is outdated, charts need alot of work. No personalised service, spreads have widen so much so that I have closed my account. i.e. GBPUSD spread blew out over 20 pips when I use a 30 pip stop loss which I got stopped out very shortly. 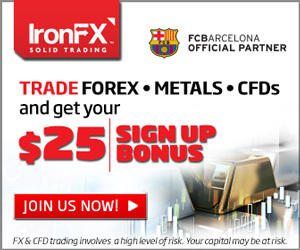 Much better brokers out there for FX. Terrible platform. Terrible margin. Terrible support team. I have been trading live with CMC for over a year. All I can say is that I am a very satisfied customer with their support, execution and education they provide. It is a scam. There is a huge difference between demo and real trading. What they promise on their web site - fast execution and tight spreads - you will see on demo only. In reality requotes are all the time even if the price stays within 15 seconds on the spot. For example, I wanted to sell at .6098 price moved to better .6101 but they offered .6010. Pending orders don't work properly as well. You will enter to the market using pending order if the price moved 15-20 pips further. So no way to earn money with CMC for both scalpers (slow execution) and long term traders (you will close profit positions with requotes and 20 pips less results). Also do not trust those who leave good reviews. They connected to CMC. Stay far away. I opened an account and the prices I got appeared to get worse - wider! These guys are a joke. I tried CMC on forex and kept getting stopped out (weird unexplainable spikes) and even when the stops were set way off they would still get stopped (I think this is called a snake in the grass trade or stop hunt) but I never knew about them before I signed up and they certainly do not mention such phenomenon in the glossy brochures or swanky seminars). I think the CMC being a synthetic market can dictate its own prices which is wrong. Sometimes when I would try and sell when I was in the money my order would just freeze and nothing would happen meanwhile the price would suddenly change to the downside and I'd be in a losing position. When I asked they would say it was because the market was so busy. Also sell orders would not be filled even though I knew the price had been met. When I would ask why they would say the order could not be filled because it was first come first served or too busy. I could make money on it but it required 100% concentration and it would be an adrenalin rush even to make a small amount. There are easier ways to make money off the markets. I am trying to be philosophical about it now but having read 'Reminiscences of a Stock Operator' I can't help feeling that CMC's are the equivalent of the 'bucket shops' from the US 1900's. I would advise everyone to read up on it before swallowing the concept of leverage and know from the outset that most people who trade forex lose (human nature is to hang on to a losing position longer than a winning position). That is how they make their money no matter what they say. Try scalping and if your a winner expect nothing else except broker intervention and over a minute wait for fills.. Prove me wrong !!! They are utter crap. Poor trade execution during market volatility. Primitive reporting of positions, open or closed. Feeds are distorted sometimes to actual market. Great service and support. No problems at all. Incredibly slow order completion, results in the price you click at is completely different to the price it is sold at. One example I clicked for a Â£800 profit, by the time it went through (over 1 minute) - I was Â£1400 down. Spreads vary according to the weather ! You never know what spread you are going to get from one deal to the next. Huge fees and charges - Avoid like the plague! Good and professional response from staff. Excellent CD courses supplied free. P.C. platform a little confusing/cumbersome, but runs fine on any decent P.C. The best news here are their rates - goodbye COMSEC, hello CMC! Overall, I am happy Jan.
Nearly 10 months of trading with over 500 orders placed and I find CMC excellent in service and trading platform. After reading some other adverse reviews of forex brokers I'm relieved I started with CMC. The platform works fine but you need about a gig of ram with xp to be ideal. It is certainly okay with 512 ram but 1 gig is the ideal. Old computers may have lock up issues. I was running win2k with 256 ram and it worked okay 98% of the time but locked up once. Its your own fault if you trade on an old computer. CMC don't have horrible spread fluctuations which i find a must. I couldn't stand spread fluctuation after having constant spreads. Orders are executed rapidly although pending orders can take a couple of minutes to find out price of execution in really heavy trading times. All I can say in regards to the majority of bad reviews is that these people must be losing money. It's some people's second nature to blame someone else for their own mess ups. Tried once, not convinced by spread and performance. Good platform and good research. Bad service and rude response. Lousy software that keeps freezing & crashes PC. Unfriendly & unhelpful staff. I traded thousands of trades over 7 years with these jokers, when I asked a legitimate question re price feeds, they closed my account. Requote and wait for over 5 minutes sometimes. CMC is a good broker, but does have a dealing desk and manual execution for sizable orders. At volatile times it takes literally up to several minutes to see if and where your trade filled, so you are left hanging with your nerves frayed as you wonder if you're winning or losing. There can be slippage.